WASHINGTON (Reuters) - The U.S. Supreme Court on Monday agreed to consider a bid by Kansas to revive the state's policy of prosecuting people for identity theft for using other people's Social Security numbers to gain employment in a case linked to immigration issues. The justices will hear the state's appeal of a 2017 Kansas Supreme Court ruling that voided the convictions of three restaurant workers and found that a 1986 federal law, the Immigration Reform and Control Act, prevents states from pursuing such prosecutions. The three men - Ramiro Garcia, Donaldo Morales and Guadalupe Ochoa-Lara - had provided their employers Social Security numbers that were not their own before being prosecuted for identity theft. President Donald Trump has taken a hard line against illegal immigrants. His administration filed court papers siding with Kansas urging the justices to take up the appeal. Lawyers on both sides refused to comment on why the three men did not have or did not use their own Social Security numbers, saying it was not relevant to the legal question. People who enter the country illegally do not get assigned Social Security numbers, which are given by the U.S. government to all legal residents. The number is primarily used to identify people for employment and tax purposes. 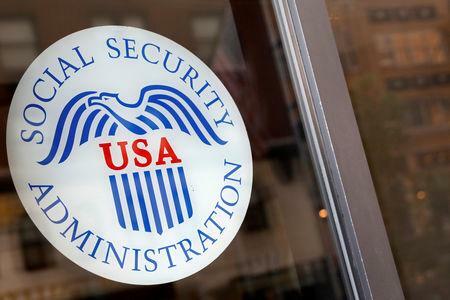 Its original purpose was to track each person's payments into the Social Security program, which provides money for retirees and people eligible for other social welfare programs. The state appeals court found that the federal law defined the circumstances under which immigrants can be penalized for providing incorrect information to employers. The law required employers to fill out a form, known as the I-9, attesting that they have reviewed prospective employees' documents and can confirm they are authorized to work in the United States. The law also stated that the form "may not be used for purposes other than for enforcement of this act." Lawyers for the three men said that because they were using the Social Security numbers listed on their I-9 forms to establish their eligibility to work, they cannot be prosecuted under state law. The cases were prosecuted in Johnson County, located near Kansas City, Missouri. The U.S. Justice Department said the federal law, signed by former President Ronald Reagan, does not prevent the use of information contained on the I-9 form if the same false information is also included on other forms, namely federal and state tax forms. During the prosecutions, the state specifically said it was not relying on the I-9 forms. "Nothing in the statute suggests that Congress intended to carve out an exception to generally applicable state laws for the exclusive benefit of unauthorized aliens," Solicitor General Noel Francisco, the Trump administration's top Supreme Court lawyer, said in the court filing. Kansas is one of several conservative-leaning states that has sought to crack down on illegal immigrants.